Great bonuses There are almost 100 slots including many of NetEnt's biggest Touch slots. 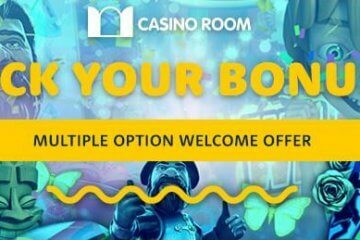 Why Play At Casino Room Casino? Casino Room is a long-established online casino that’s been operating since 1999, although the site’s mobile client only surfaced a few years ago. The lobby is packed with mainly Microgaming slots and NetEnt slots, with the latter supplying dozens of slots from its popular Touch suite of mobile games. Casino Room has licenses from Malta and the UK Gambling Commission. You can read more in the Casino Room Casino review below. Easy to navigate and simple to register at, Casino Room is one of the simplest mobile gaming sites to play at. Games are divided into Classic, New, Popular and Bonus categories, and making real-money deposits takes seconds. 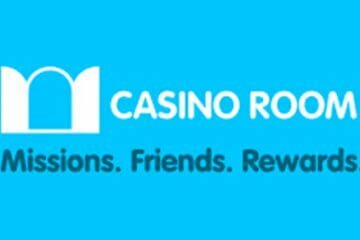 New players at Casino Room can enjoy £500 in bonus cash when they sign up for an account. There’s a fairly heavy 45x wagering requirement attached to the bonus, but new customers can also enjoy free spins on NetEnt’s Starburst every day for the first 10 days. Missions and Rewards are the big buzzwords at Casino Room, and you can scan daily, weekly and monthly prize leaderboards where players have earned XP Points. Work your way up the levels and you can win extra bonuses and free cash. Other Casino Room bonuses are sent out via email or SMS containing special codes where players can access new offers. Casino Room offers a simple instant-play client for players on iOS and Android players. There are almost 100 slots including many of NetEnt’s biggest Touch slots. Games like Jimi Hendrix, Euro Golden Cup and Bar Bar Black Sheep are available to play for fun before you commit with your GBP. It’s not just NetEnt in full effect, however. Microgaming chips in with dozens of top slots plus some excellent progressives such as Mega Moolah, Mega Moolah Isis, and Major Millions. If table games are more your thing, Roulette Touch from NetEnt is available at a range of stakes. Other fan faves like European Blackjack Gold, American Roulette Gold, and Vegas Strip Blackjack Gold can be played for play or real money. Don’t expect anything in the way of Live Casino action, however. Deposits can be made easily via your tablet or smartphone in minutes. Casino Room accepts major debit and credit cards as well as e-Wallets like NETELLER and Skrill. While not excessively long, players can expect cash-out times of 4-5 business days for most transactions. E-Wallet transfers are much quicker. Players at Casino Room Casino can contact a customer service rep by their mobile phones or Skype app. There’s also straight email support which we found to be pretty swift to respond. If you like a solid and varied range of slots and table games on your mobile casino, Casino Room is the site for you. It boasts hundreds of good real-money games, a lovely bonus scheme which rewards points, cash and free spins, and some first-class customer support. What more can you possibly want from a mobile casino in 2016?